Some aspects of real estate are expected to be adopted faster by blockchain technology like transaction recordings, digitisation of land titles, fractional ownership of real estate assets and multiple listing services. According to the report by Colliers Research, this technology will also legitimatise the government-mandated record of real estate transactions and improve the overall transparency level in the system. The report titled Constructive Disruption or Destructive Disruption: Impact of Blockchain on Indian Real Estate also said that other services such as smart contracting, notary services and due diligence should follow over the longer term. Nonetheless for Blockchain technology needs mass adoption by the users to become a success. It also needs new laws to be tailored to ensure proper execution. The report suggests in order achieving this, mandatory digitisation of real estate assets needs to given with strict deadline and also a unique identification like Aadhar card for properties can go together with blockchain. 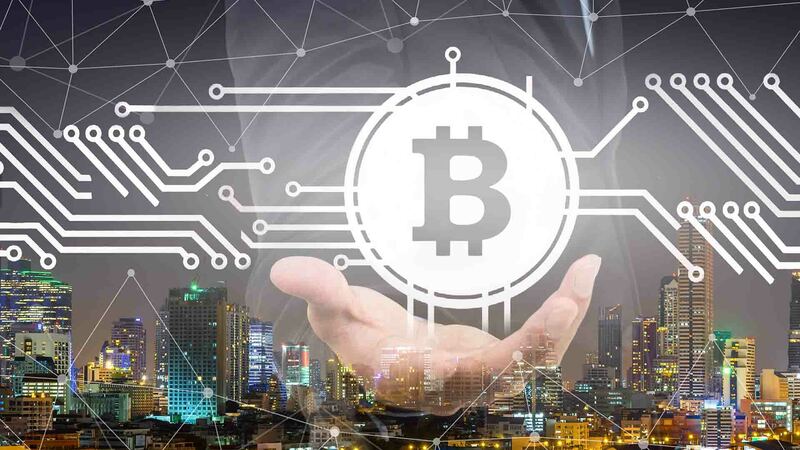 Even though with the use of blockchain technology some progress has been made recently in the real estate sector in India; the technology is still in a nascent stage of development. The report also says that with this technology, it is practically impossible to change or reverse any information once it is added to the blockchain system. It will legitimatise the government-mandated record of real estate transactions and improve the overall transparency level in the system. A piecemeal adoption approach is the only way towards digitisation of land title. The technology can make its way to government lands such as with railways, defence, and ports in phase one. Eventually, it can be implemented on mortgaged land and private land. Looking at the traditional Central Business District (CBD) areas of the large cities, a building is sold on a strata-title basis and have multiple small owners. With no central data or authority governing the ownership maintenance of such buildings becomes a task. The Colliers Research says that companies like PropertyShare and RealX are tech-enabled, e-commerce based platforms that offer fractional ownership in a transparent manner and claim to be based on blockchain technology system. Numerous websites offer listing facilities that tell you about the property, agent and contact details of the owners and so on. However, often these details are outdated. Thus disables a person from making an informed decision. Colliers International suggests blockchain in the real estate sector will rectify the issue of unverified data entries by offering shared database services as a solution and thus improving the accuracy of listing services. The Blockchain Technology can give each user a universal digital code and that code can be stored in the universal database. This universal database will hold records of all the stakeholders including land title and credit history. As it can provide smart identities and give required details to the customers in one place it ensure a trusted transaction. The agreements that Smart contracts will make will be automatically guaranteed by the efficiency of blockchain mechanism. This shall be achieved without any human intervention. Verification shall be undertaken to check the legitimacy of the transaction. If pre-determined terms do not match, no contract can be concluded. It makes the contract transparent and decreases any possibility of future litigation. After uploading universal data due diligence can be facilitated by using the same platform. Some examples of this are – notary services can be facilitated using verified digital signatures; financial verification can be done by peer to peer transactions which ensures full transparency; existence proof can be processed by tokenising the assets on blockchain database.